The WPP firm will serve as lead agency for several business units. MEMPHIS, TN: FedEx has brought on Burson-Marsteller to handle PR and corporate communications for FedEx Services and several of its other operating companies. It hired the firm following "an extensive review process," said Patrick Fitzgerald, SVP of integrated marketing and communications at FedEx, in an emailed statement. The company also has relationships with various other firms for different business requirements, including Ketchum, Weber Shandwick, and others, he added. "We are very proud to be working with one of the world's most admired companies," said Don Baer, worldwide chair and CEO of Burson, in an emailed statement. The FedEx Services division includes FedEx Office, which provides printing, shipping, copying, and computer-rental services, as well as FedEx TechConnect, which offers repair services in laptops, handheld devices, printers, and other electronics. Additional information about Burson’s scope of work was not immediately available. The company put its longtime partnership with Ketchum under review earlier this year. The Omnicom firm had been serving as FedEx's primary PR agency partner. "We are proud of the award-winning work that Ketchum and FedEx have done in partnership for more than 20 years," Ketchum said, in a statement. "Our team is committed to continued excellence in the work we are doing with FedEx in Europe, Latin America and Asia-Pacific. We look forward to accomplishing many more great things together as we share our best practices and ideas at the integrated table." Fitzgerald worked at Ketchum more than a decade ago. 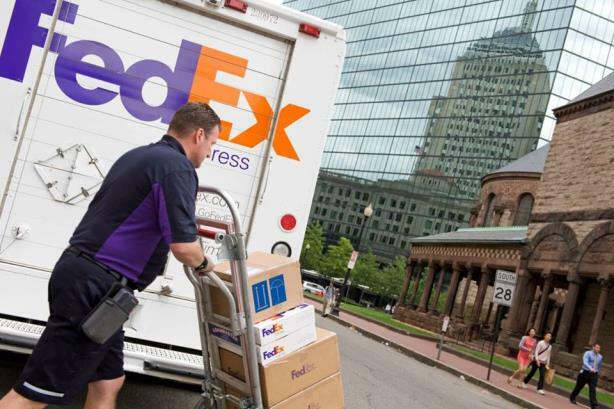 FedEx reported a 4% increase in revenue to $11.7 billion, year-over-year, in the fiscal third quarter of this year. The company also saw a 53% surge in net profit in the period to $580 million. It is the second time Burson has been picked to lead a team of agencies for a major corporation this month. Earlier in May, enterprise software company Oracle hired a WPP team led by Burson to handle global products and services communications. Work on that account will begin on June 1. Bill Orr, former West Coast market leader at Burson, departed the firm this month. He joined independent PR and marketing firm Double Forte as EVP and chief strategy officer. This story was updated on May 22 to include comment from Burson-Marsteller and Ketchum.